The justice system could be undermined if a ruling that only Parliament can trigger Brexit is overturned, a former lord chief justice has said. Lord Judge said it would be seen as a victory for pro-Brexit demonstrators should the Supreme Court reverse last week's controversial High Court ruling. The government, he told BBC Newsnight, had been too slow to defend judges following press attacks over the case. Ministers say they support judicial independence but also a free press. In a Commons statement on Monday, Brexit Secretary David Davis said it was "perfectly proper" for people to respect the integrity of the judicial process while disagreeing with individual judgements. He condemned what he said were "deplorable" attacks on social media on Gina Miller, the woman who instigated the legal challenge against the government, but also defended a free press which he said was as much a guarantor of democracy as judicial independence. The government is appealing against Thursday's ruling that Parliament must give its consent before the UK can officially notify the EU of its intention to leave by triggering Article 50 - which Theresa May has said she wants to do by the end of March. The case is expected to be heard next month although the verdict might not come until early next year, raising doubts about the PM's ability to meet her stated timetable to begin negotiations on the UK's exit. Amid anger over the High Court ruling, which led the Daily Mail to label three of the most senior judges in England and Wales "enemies of the people", UKIP leader Nigel Farage has vowed to lead peaceful protests outside the Supreme Court in the run-up to the hearing. The Daily Express has claimed 100,000 people could join a march in Westminster on the first day of the Supreme Court hearing. 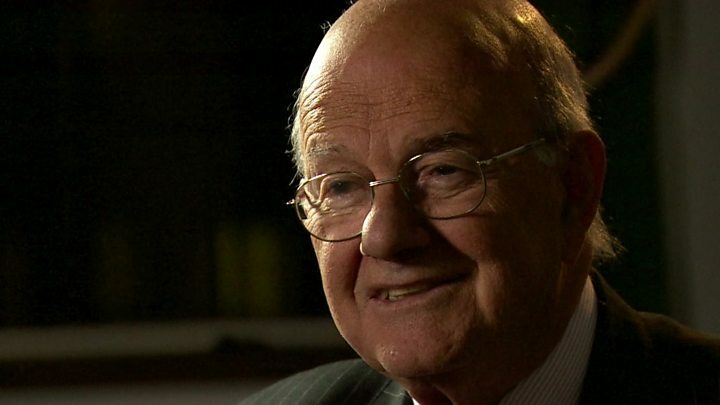 Lord Judge, who was the most senior judge in England and Wales between 2008 and 2013 and who is now a crossbench peer, told BBC Newsnight that people were entitled to protest but he was concerned about the impact the case might have on the legal system. "People can march as much as they like," he said. "I don't think it makes any difference to the judicial decision but it does make a difference to public order. "Let's say for the sake of argument the Supreme Court decides the High Court was wrong, it will undoubtedly be conveyed as a victory for the demonstrators. "It won't be but that's what will be conveyed. And if that is conveyed, you've undermined the administration of justice." Lord Judge said the judges who delivered last week's ruling, including his successor as lord chief justice Lord Thomas, carried out their duty and "happened to decide that Parliament was sovereign". He said Lord Chancellor Liz Truss had "a statutory obligation" to defend the judiciary in the face of what he said had been highly personal attacks on their integrity, but he had been disappointed by her response. "That is one of her functions, to defend the judiciary. And it was a little too late and not a lot. "To say you believe in independence of judges is fine but it doesn't actually address why this matters at a particular time." A number of Conservative MPs have said ministers could have spoken out earlier and more vehemently, with former Attorney General Dominic Grieve saying the response was "muted". But ex-Justice Secretary Michael Gove said the freedom of the press was "also a precious thing" and while the judgement "deserved respect", the democratic mandate arising from the 23 June vote - in which 17.4 million people voted to leave the EU - must also be heeded. A government spokesman said the Lord Chancellor was "very clear her role is to protect the independence of the judiciary not to police the press". The government has said it will not decide what to do until the Supreme Court reaches its judgement, with ministers said to be weighing up whether to seek authorisation to begin official Brexit talks through new legislation or through a one-off parliamentary resolution. Lord Judge said he would vote to trigger Article 50 when the matter came before the Lords. "I think the result of the referendum means that the wishes of the majority of the people have to be respected," he said. Former Chancellor Ken Clarke has called on the government to stop "faffing around", saying it could table a vote in the Commons on a simple motion before the Supreme Court hearing. Speaking at an event in Westminster, the veteran Europhile said he personally would vote against Article 50 but that it would comfortably be passed by the Commons.